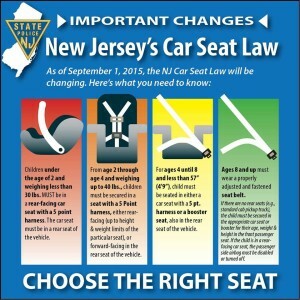 Laws governing child safety seats are changing in New Jersey. See the graphic below for the details. Ptl. 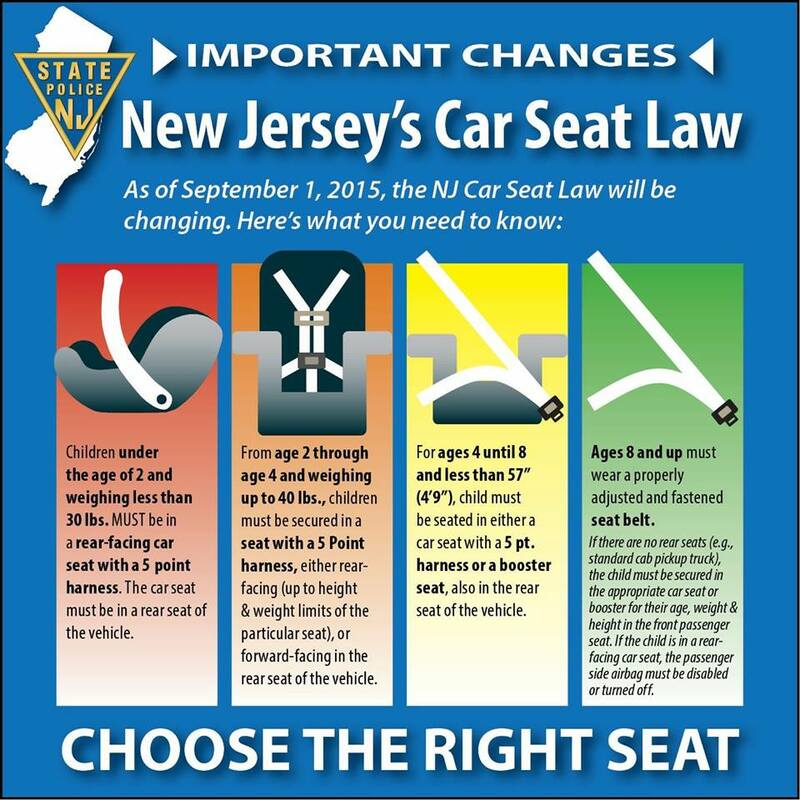 Keleshian is trained in car seat installation, and he is available to answer questions you may have about these changes. Call into the office (467-0061) and we can put you in touch with him.